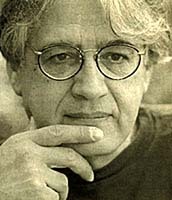 Patricio Guzmán was born in 1941 in Santiago, Chile. As an adolescent in the late 1950's he became drawn to documentary filmmaking when he had the opportunity to see some of the films of Chris Marker, Frederic Rossif and Louis Malle. He studied filmmaking at the Film Institute at the Catholic University of Chile, and at the Official School of Film in Madrid, where he obtained his degree in Film Direction in 1970. Guzmán returned to Chile in 1971, and directed his first documentary, The First Year, which covered the first 12 months of Salvador Allende's government. The film was shown in commercial theaters that very year. The French documentary filmmaker Chris Marker, who was passing through Chile at the time, happened to see the film and offered to help screen it in France. Two years later, Marker again provided invaluable assistance when he donated the raw stock necessary to commence filming The Battle of Chile, Guzmán's 4 and ½ hour documentary trilogy about Allende's final year. Filming lasted until the very day of the coup d'etat. The day of the coup, Guzmán was imprisoned in Chile's National Stadium, where he remained for 15 days. After regaining his freedom, he left for Europe with his film canisters in tow. Once there he began to search for the economic means to complete the film. This time, saving grace came from the Cuban Film Institute - the ICAIC - which offered to support the editing and post-production. Guzmán flew to Havana and finished the film a few years later. The Battle of Chile won 6 Grand Prizes in Europe and Latin America. It was shown in commercial theaters in 35 countries. The film magazine Cineaste declared it, "One of the ten best political films in the world." Later, Guzmán, living in Spain and then France, continued to make documentaries, many of them focusing on Chilean concerns. In 1987 he made In God's Name (Grand Prize, Florence '87) about the Catholic Church's fight for human rights in Chile. From 1990 to 1992 he worked on The Southern Cross (Grand Prize, Marseille '92) about the theology of liberation and popular religion in Latin America. In 1995, Town in Stasis focused on the historical memory of a Mexican village. In 1997, Chile, Obstinate Memory (Sundance Film Festival, 1998) looked into collective political amnesia in Chile. 1999 brought Robinson Crusoe Island about the remote Chilean island of the same name. The Pinochet Case in 2001, released at Cannes in the same year, examined the international legal case brought against General Augusto Pinochet (Grand Prize, Marseille '01). In 2002, he completed Madrid, a personal look at Spain's capital. More recently he made Salvador Allende (Cannes 2004), which Icarus Films released in September, 2006. This acclaimed, award-winning film tells Allende's story, from his youth in Valparaiso and his early presidential campaigns, to his bold nationalist reforms and his death during the violent rightist coup of September 11, 1973. Guzmán's next film was the gorgeous and personal meditation, Nostalgia for the Light (Cannes 2010). Winner of the prize for Best Documentary (Prix ARTE) at the European Film Academy Awards, it was also named one of the Top Ten Best Movies of 2010 by Sight & Sound magazine. It is being released in the US and Canada by Icarus Films in 2011, its NY theatrical opening is set for March 18, 2011. His most recent film, The Pearl Button (2015) won the Silver Bear at the Berlin Film Festival. Patricio Guzmán currently chairs the International Documentary Film Festival (FIDOCS) in Santiago, Chile, which he founded in 1997. He lives in Paris with Renate Sachse, who collaborates on the scripts for his films and produced Nostalgia for the Light and The Pearl Button. His two daughters, Andrea and Camila, are also filmmakers and frequently collaborate on his projects. Nostalgia for the Light - A gorgeous, deeply personal meditation on astronomy, archaeology, and politics from master filmmaker Patricio Guzmán. Salvador Allende - A definitive portrait of the Chilean leader, from his youth in Valparaiso and his early political campaigns, to his bold reforms and the violent coup that brought his death on September 11, 1973. Madrid - Chilean filmmaker Patricio Guzmán's takes viewers on tour of the Spanish capital. Robinson Crusoe Island - A journey by Patricio Guzmán to the real Robinson Crusoe Island, off the coast of Chile, the setting for Daniel Defoe's famous book. Chile, Obstinate Memory - Meet Chileans who experienced the coup first-hand, including some, captured onscreen 25 years prior, in The Battle of Chile. The Battle of Chile: Part Three - Deals with the creation by ordinary workers and peasants of thousands of local groups of "popular power." The Battle of Chile: Parts One and Two - The epic chronicle of Chile's open and peaceful socialist revolution, and of the violent counter-revolution against it in 1973. Our latest release is Five Films by Patricio Guzmán, an eight-disc box set of the Chilean filmmaker's acclaimed documentaries, including a bonus feature film and a 24-page booklet with an essay commissioned for the release.